The Menorca Channel holds a great variety of habitats, from the sand banks and Posidonia beds typical of nearshore areas to communities on the bottom of the platform (50 to 100 meters deep) and slope (100 to 400 meters deep), which have a high ecological value and great diversity of species. It is worth noting that this zone is home to populations of various species of cetaceans and marine turtles. The SCI is particularly important for seabirds such the Balearic shearwater (Puffinus mauretanicus) and Cory's shearwater (Calonectris diomedea), which come to the area both from nearby colonies as well as others further afield (southern Majorca, Ibiza, and Columbretes). These are formed of fine sand sediments, sometimes with larger grains, including rounded cobbles and pebbles, and are permanently submerged. They may be covered by vegetation and are a refuge for diverse fauna. 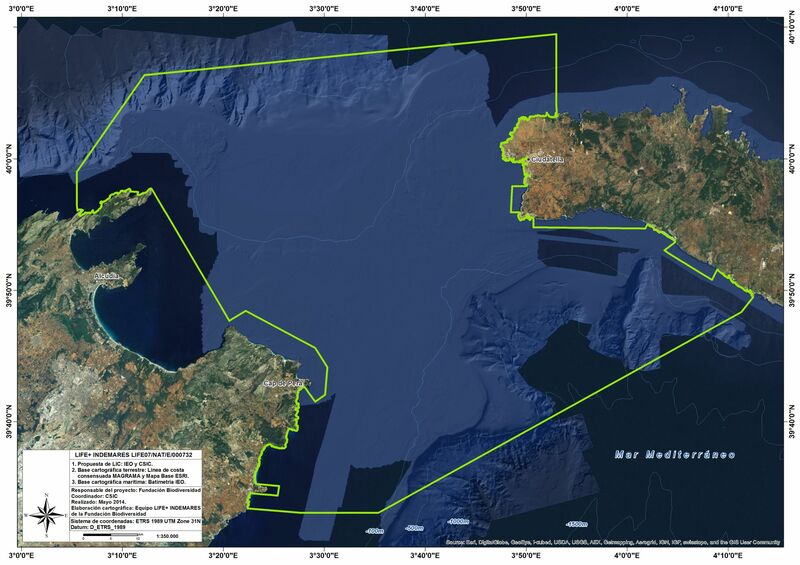 This habitat is located in the shallowest areas of the Menorca Channel (less than 30 metres deep) and has a surface area of 7515.2 ha. The great majority is not covered by vegetation, although in certain zones we can find Cymodocea nodosa beds. Submarine prairies dominated by the seagrass Posidonia oceanica, characteristic of the Mediterranean infracoastal zone, up to depths of 40 m. The ecological importance of this habitat is unquestionable: besides protecting the coastline from erosion, these ecosystems provide food, refuge and a breeding ground for numerous marine species. Posidonia beds are an indicator of a good environmental state, as this habitat is very sensitive to disturbance and is only found in clean, clear waters. There is a total of 1854.3 ha of Posidonia beds in this area, in addition to that found in the adjacent zones. Reefs are hard, compact substrates on smooth, solid bases that rise from the sea floor. They can shelter benthic communities of animals and seaweeds, as well as coralligenous concretions. In this SCI, this type of natural habitat is home to the cold water corals Lophelia pertusa and Madrepora oculata. There are also abundant coralligenous communities. These are found on top of the calcareous red algae Lithophyllum frondosum and Mesophyllum alternans, and house a great diversity of habitats dominated by sponges, gorgonian sea fans, sea-squirts, and so on. Also important here are the sea fan forests, where species from the genera Eunicella and Paramuricea are most abundant, as well as rocky slope communities dominated by black corals, amongst which are the dominant Mediterranean species Antipathes dichotoma, Leiopathes glaberrima and Callogorgia verticillata. Cosmopolitan species typical in tropical and temperate regions, although it may also be found in relatively cold waters. It is characterised by being very gregarious. Its very varied diet includes hake, sea bream, mackerel, octopus, squid, and prawns, among other marine animals. 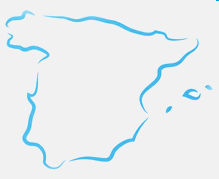 The Balearic Islands probably support the most abundant core population of this species in Iberian Mediterranean waters. Cosmopolitan species found in tropical and subtropical waters. Solitary and omnivorous, its diet includes crustaceans, fish, molluscs, seagrass and jellyfish. The Balearic Islands are home to an important population of this species, which we have found to include individuals originating in the Atlantic and Mediterranean.